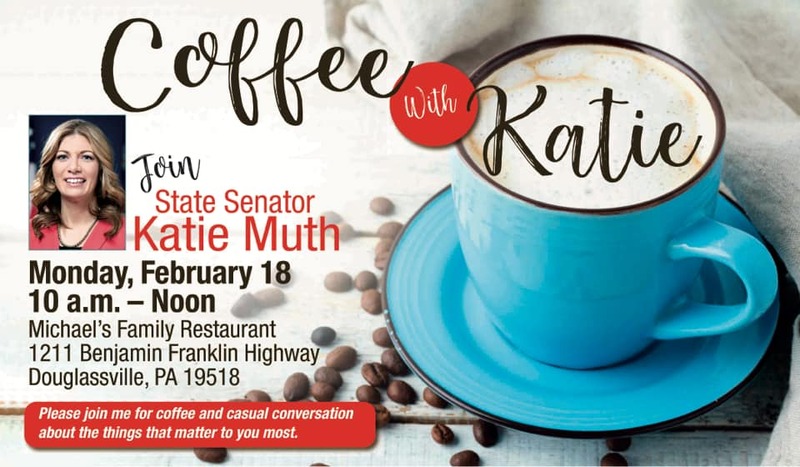 Join Senator Katie Muth for Coffee in Douglassville! Please join me as we kick off a series of casual conversations called “Coffee With Katie” on Monday, 2/18. These events will be held monthly in Montgomery, Berks, & Chester Counties and will provide an opportunity to continue the conversation about the things that matter to you the most. I look forward to hearing how we can move the 44th district forward from all you. “Coffee with Katie” will be coming soon to the county nearest you.